Encardio-rite won the monitoring contracts for all the above packages. 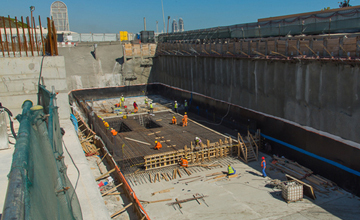 Encardio-rite’s proven track record to manage the monitoring of esteem metro projects globally and the quality and diversity of the technologies offered were the key elements that won them the contracts. 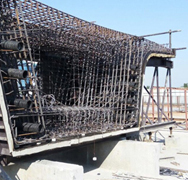 By winning all the above monitoring contracts Encardio-rite once again proved its capabilities in executing such large-scale metro and tunneling projects with its quality products and services. A team of almost 85 personnel, including experienced project managers, team leaders and engineers along with technicians, helpers, drivers and admins were stationed at Doha for the execution of the above-mentioned packages. The team included people of almost 8 nationalities who worked in coordination to meet the challenging demands of the project. Most of the packages are complete and have met the client’s expectations, while few are still in progress. Pre-construction building condition survey of the structures within zone of influence. Supply of geotechnical instruments, precise survey instruments and targets. Installation of geotechnical instruments including the drilling works for subsurface instruments and survey targets. Optical Surveying-precise leveling & 3D deformation monitoring. Programming and commissioning of data acquisition systems. Setting up online web based data management system (WDMS) and maintenance during the contract period. Spiral test for inclinometer installed in soil. Daily & weekly reporting with evaluation & interpretation. 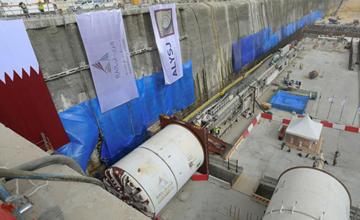 In order to guarantee optimal risk management for the project, ALYSJ JV chose Encardio-rite from amongst strong international competition, for the instrumentation and monitoring services for the underground work. 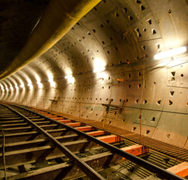 Prior to excavation and tunneling, pre-construction condition surveys were carried out on buildings within the zone of influence along the route and stations of almost 790 structures & 3400 utilities. 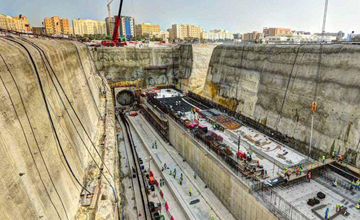 Key building monitoring points were installed and actions were taken to ensure that all work was carried out under the safest conditions as for tunneling works, safety is paramount. After the construction work was over, a post-construction condition survey was carried out for the same structures and utilities. Online web data monitoring with automated monitoring as per requirement. Installation of geotechnical instruments including the drilling work for subsurface instruments and survey targets. Programming and commissioning of automatic data loggers. 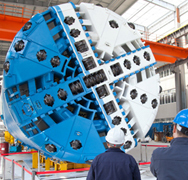 All the data was available online on a database to all the related authorities, with comprehensive information on TBM positions and correlation of data from different instruments in specific areas. The manual data was updated into the server within 6 hours of monitoring. 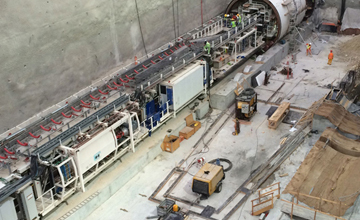 The integration of data from 6 TBMs working simultaneously and 10 stations presented the biggest challenge of the Gold Line package, which was met successfully. Pre and post construction building condition survey, Structural Survey, Building monitoring. 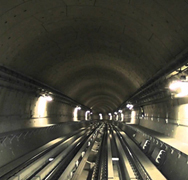 For the Red Line South underground tunnel (12.8 km) Encardio-rite was responsible for the pre and post construction building condition survey.